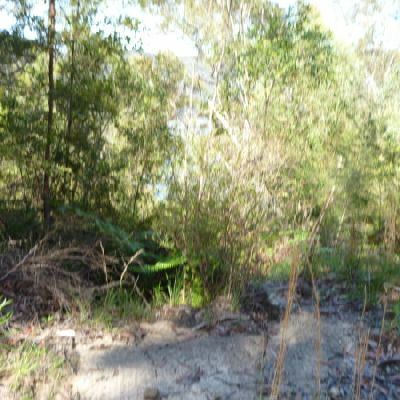 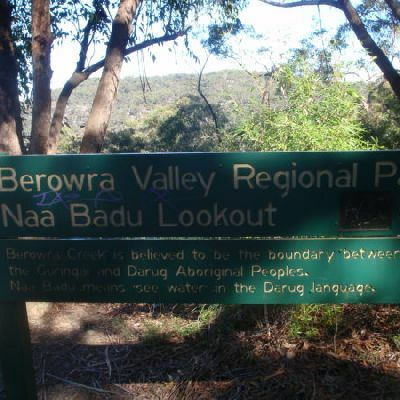 This image is near the Naa Badu Lookout. 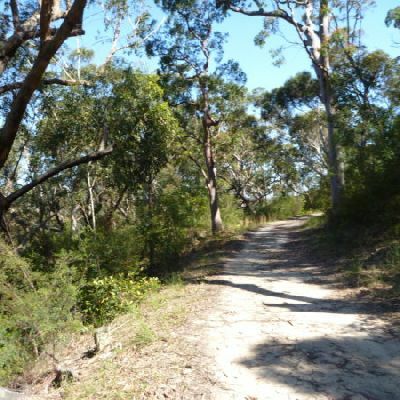 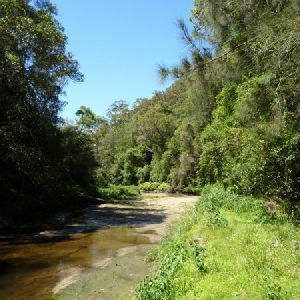 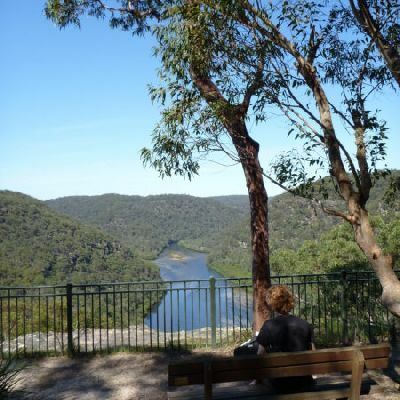 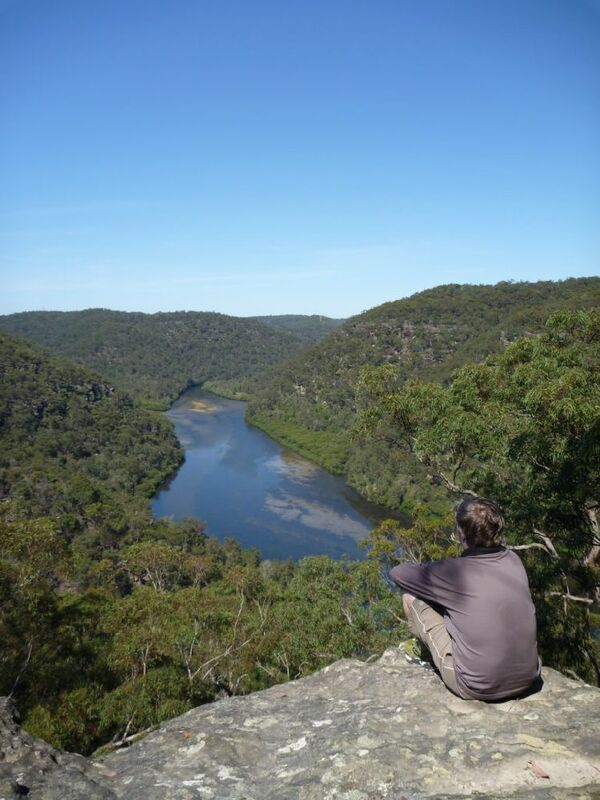 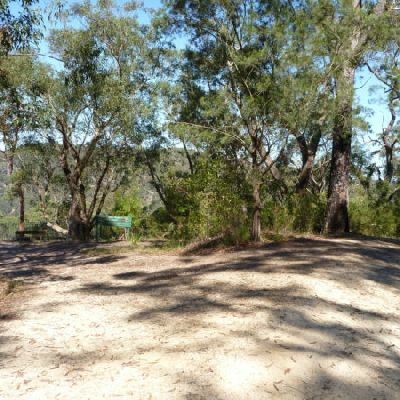 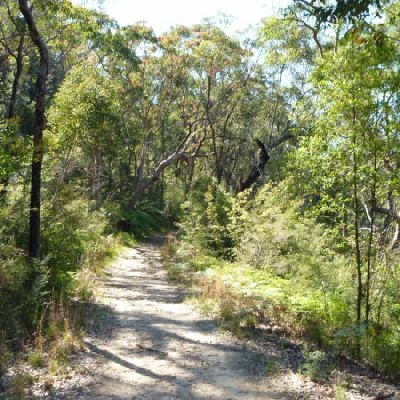 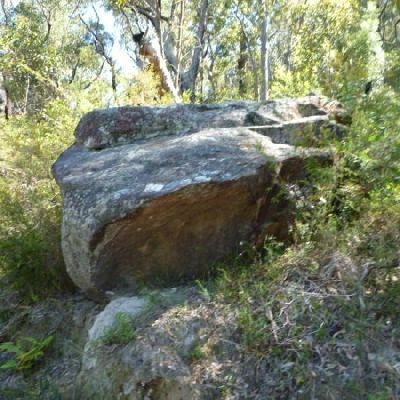 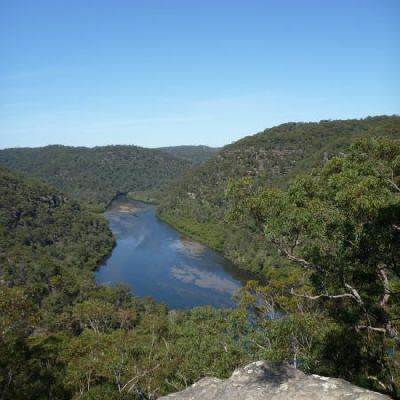 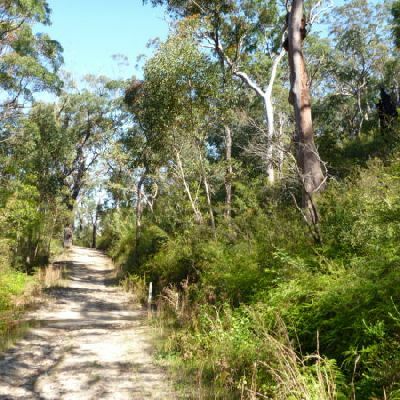 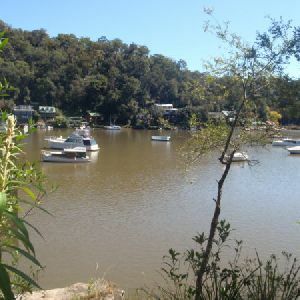 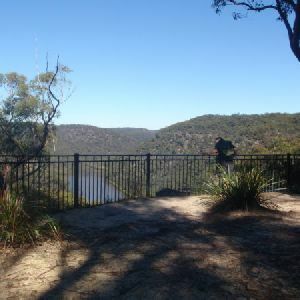 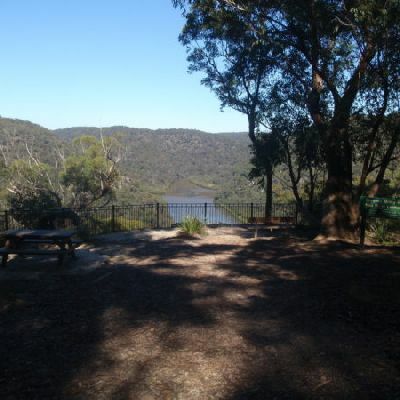 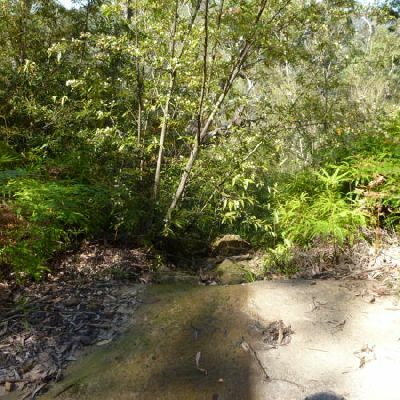 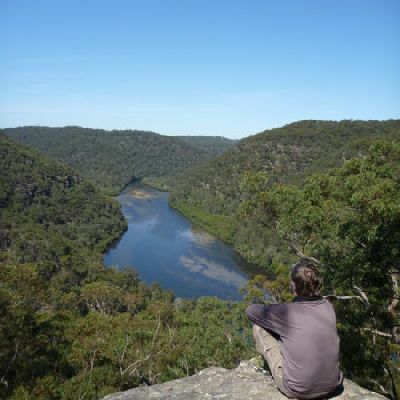 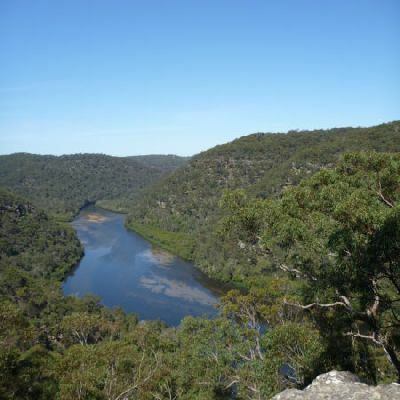 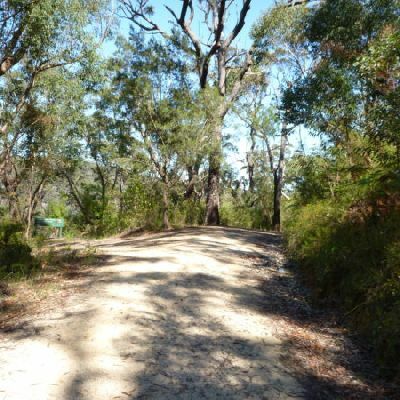 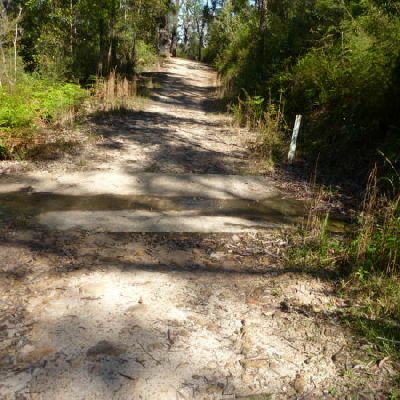 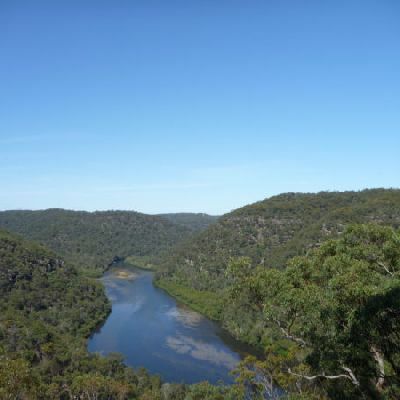 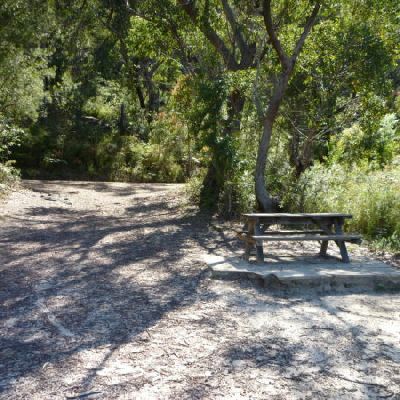 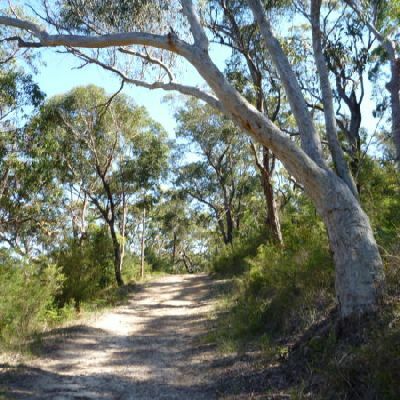 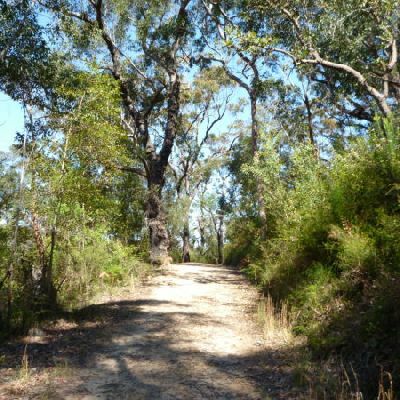 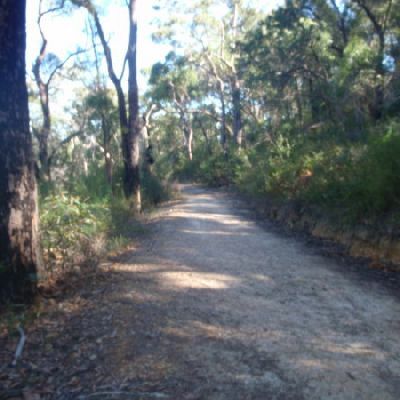 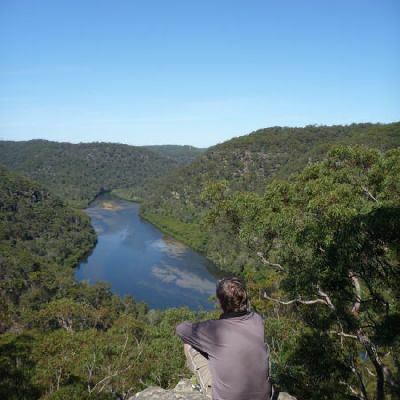 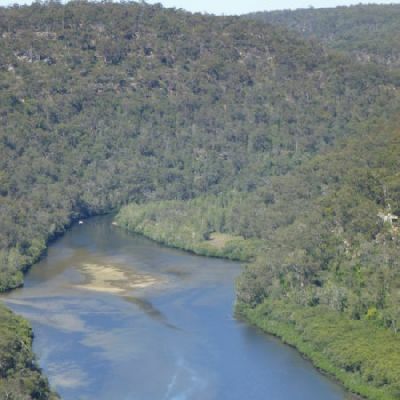 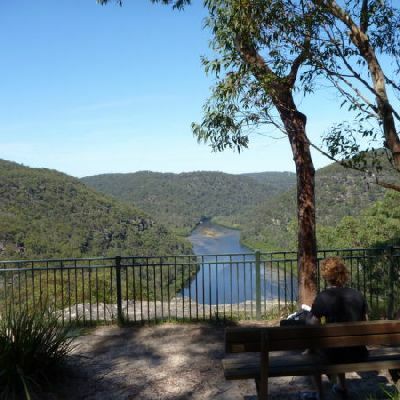 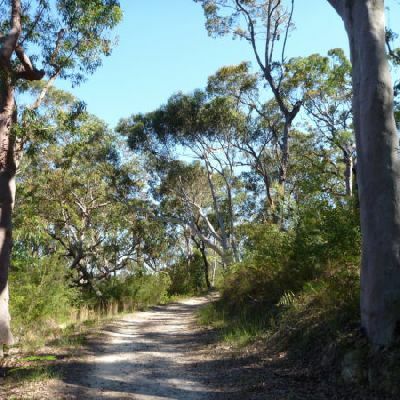 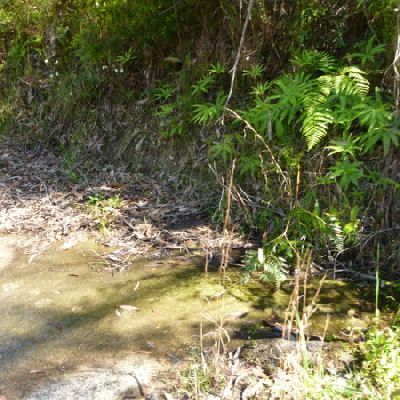 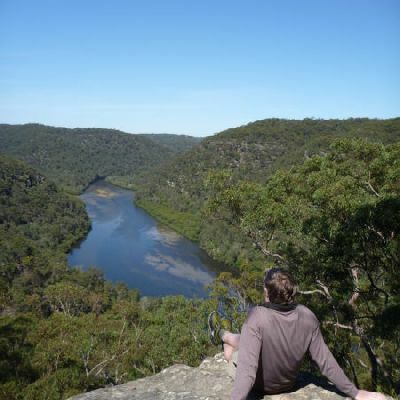 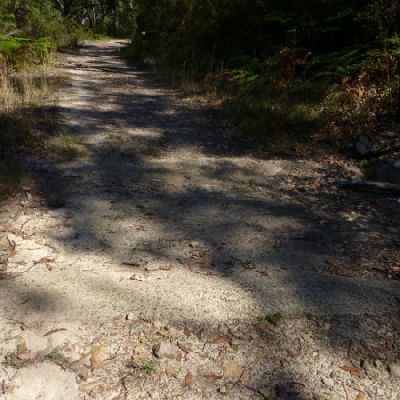 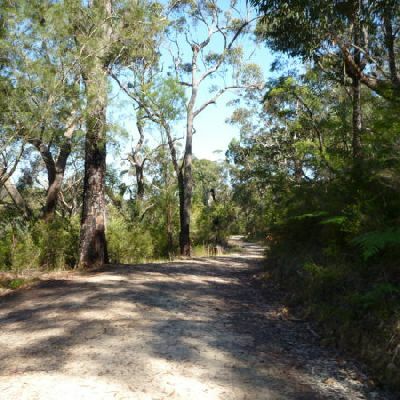 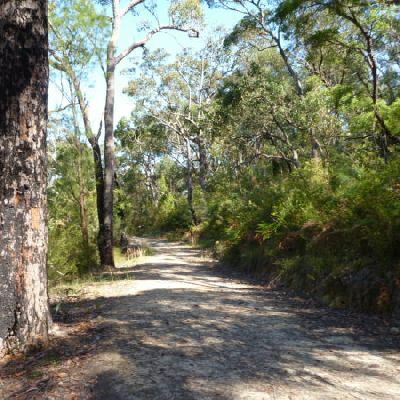 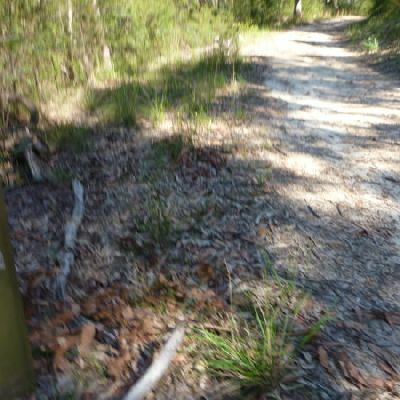 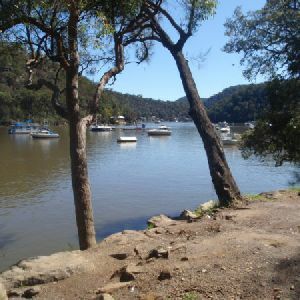 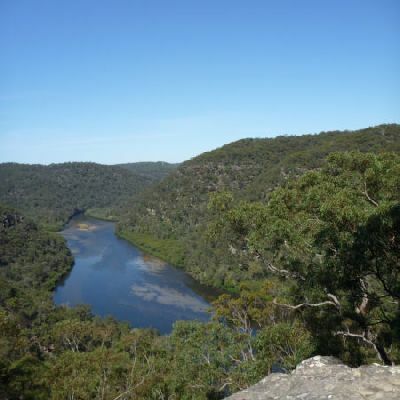 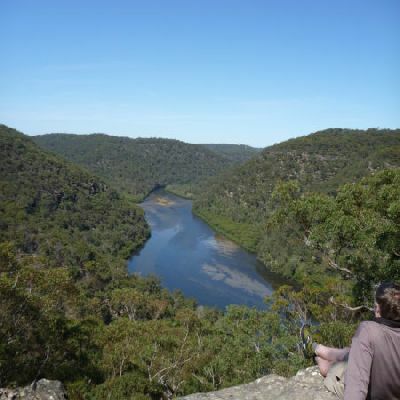 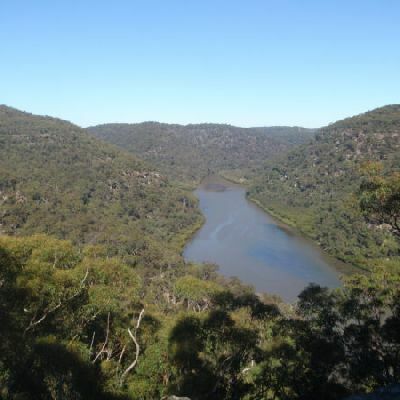 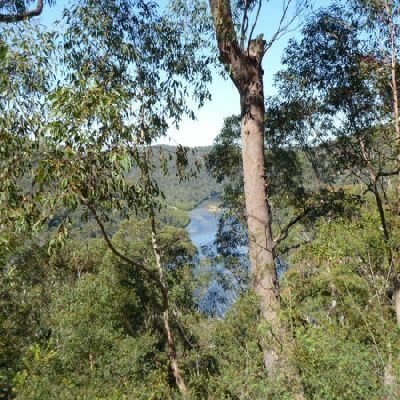 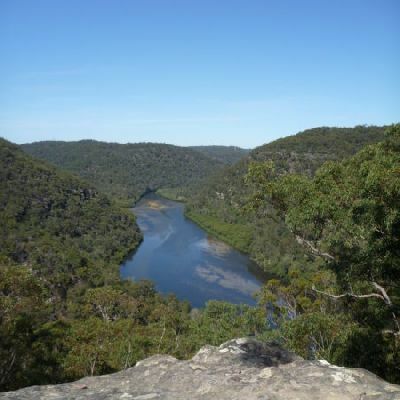 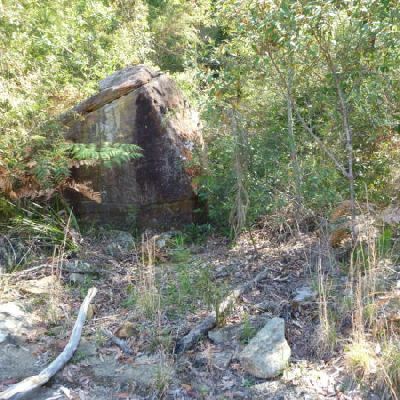 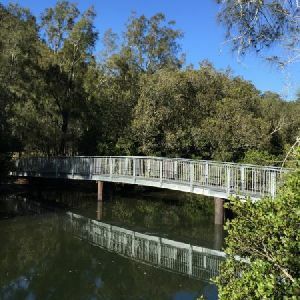 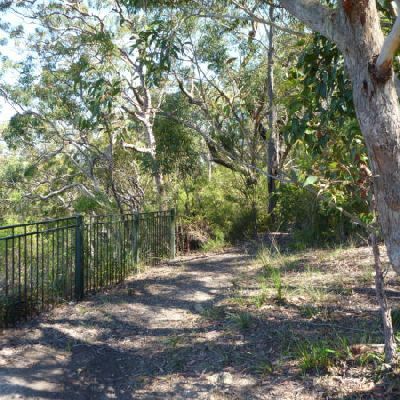 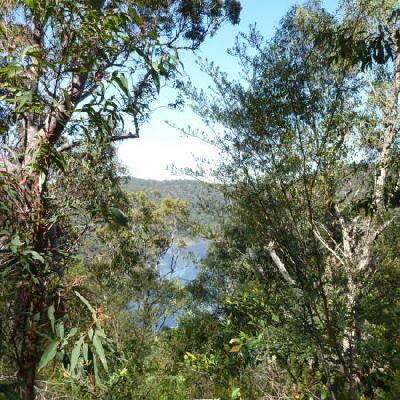 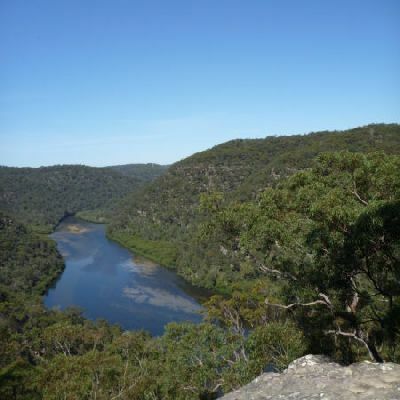 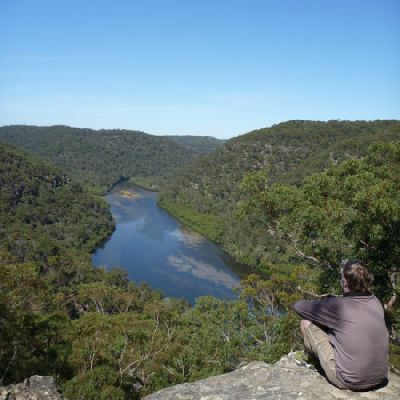 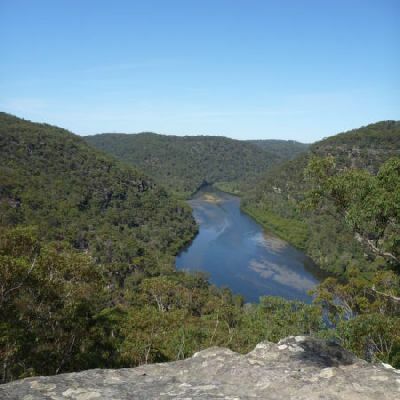 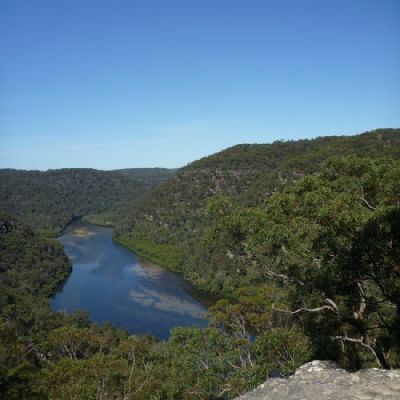 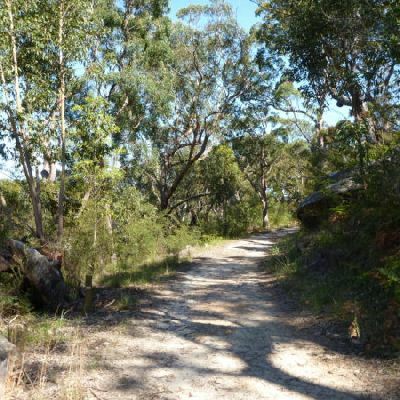 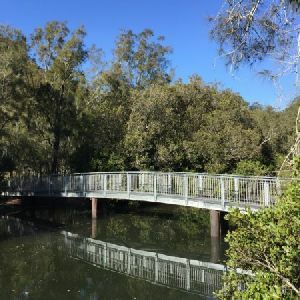 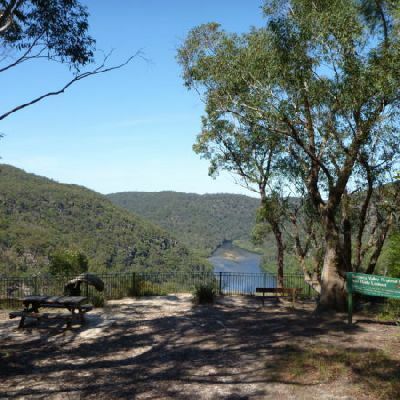 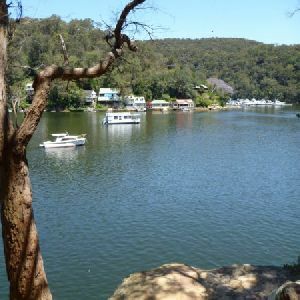 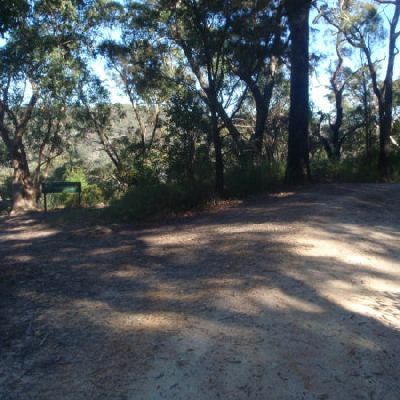 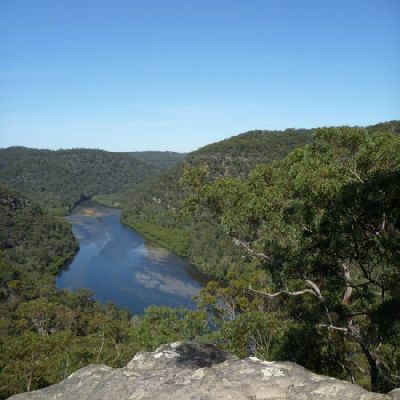 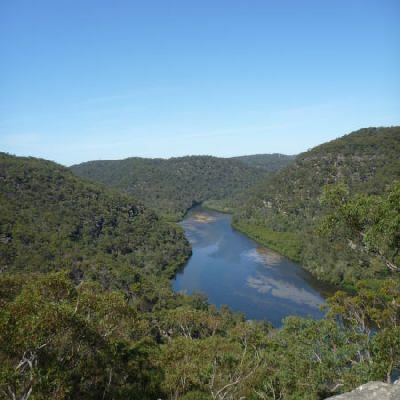 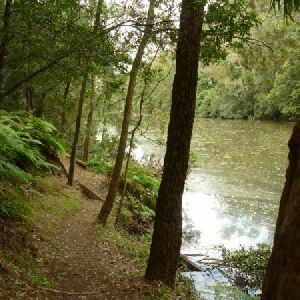 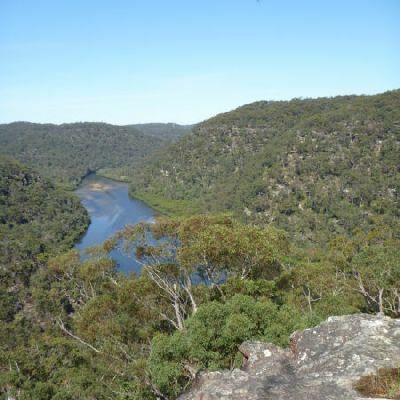 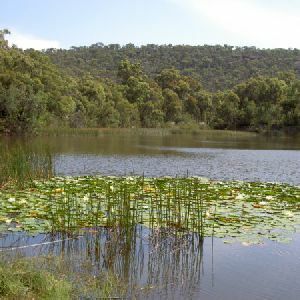 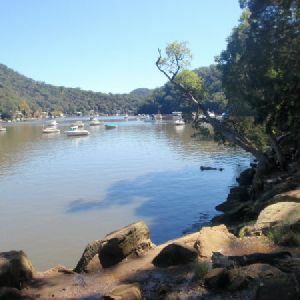 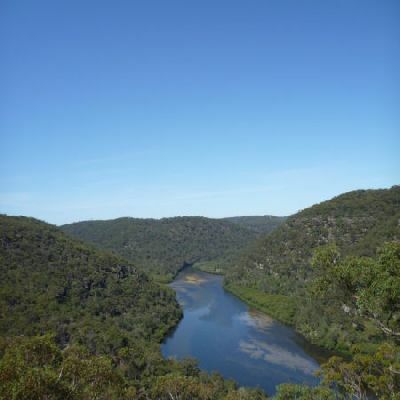 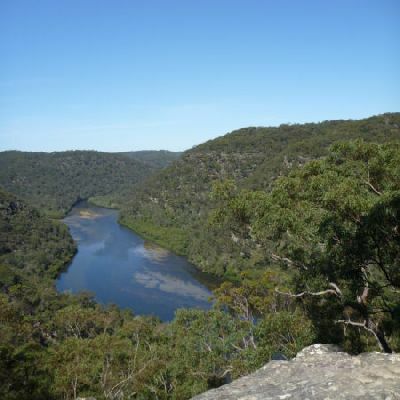 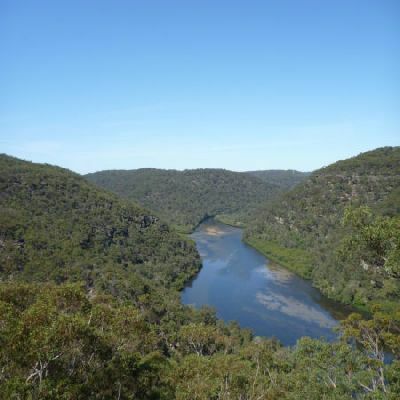 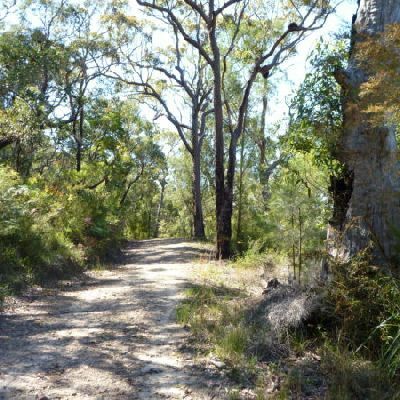 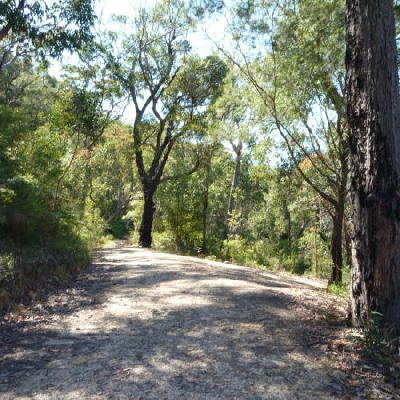 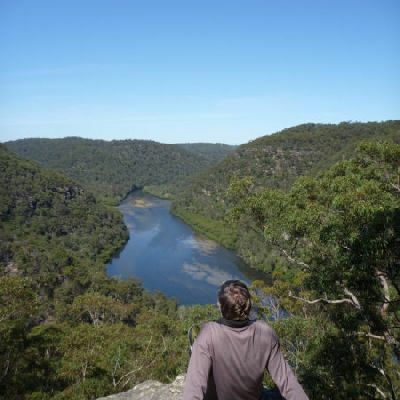 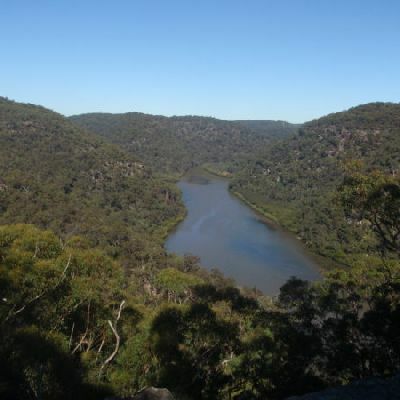 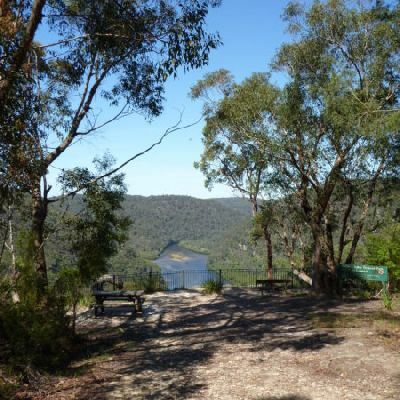 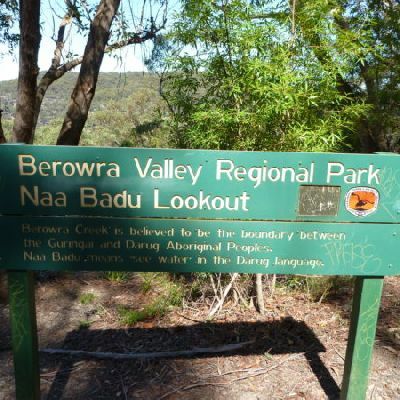 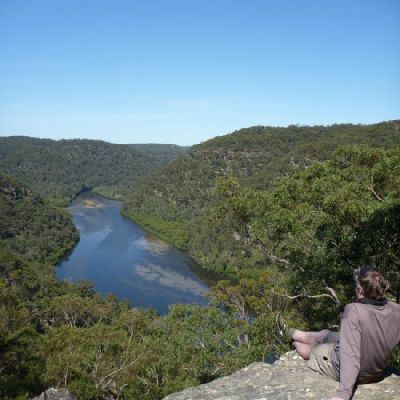 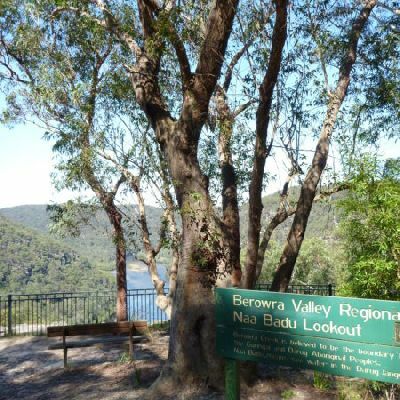 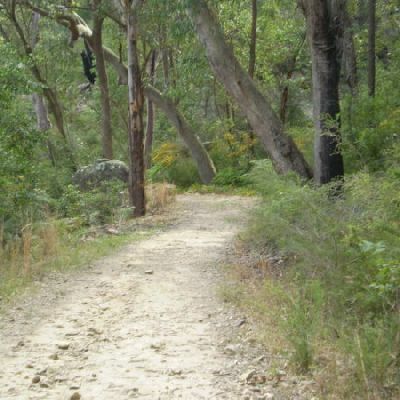 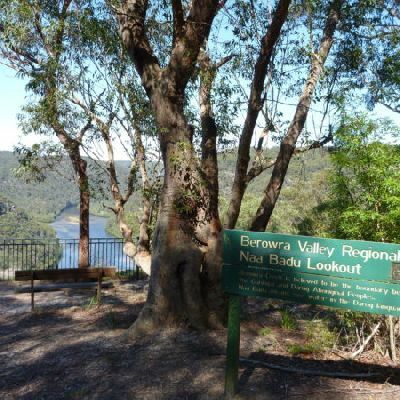 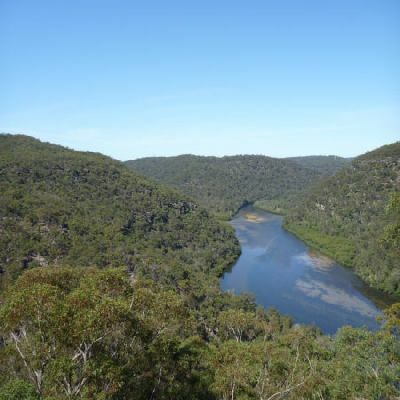 This half day return walk starts from the Crosslands Reserve and follows a section of the Great North Walk along side Berowra creek, across boardwalks and bush tracks, before climbing steeply up the side of the valley to the Naa Badu Lookout. 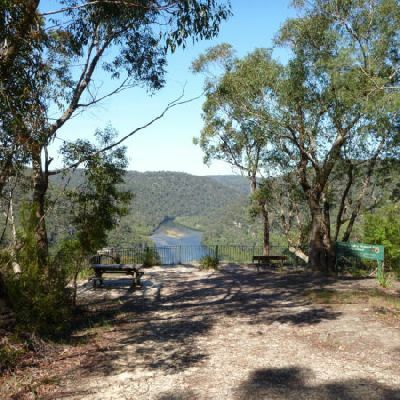 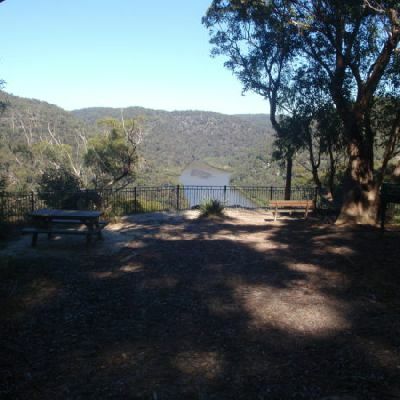 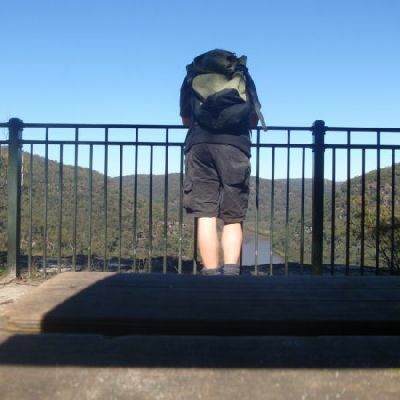 The lookout provides a great view down, across the valley and along Berowra creek. 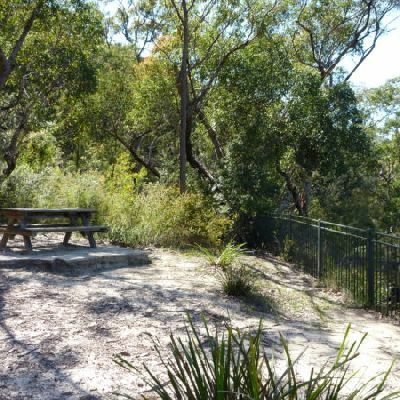 There are picnic benches and seats making it a great place for lunch.